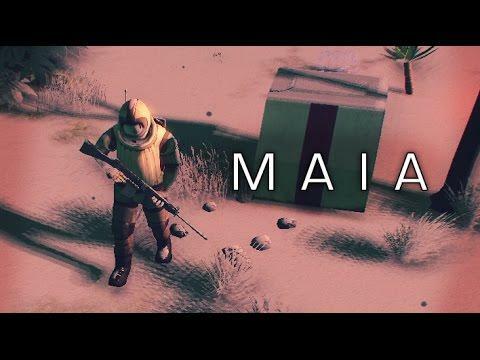 Maia [Steam, itch.io] is a personal favourite as a game I really love to see grow and it just got a big update. It comes with lots of new and very useful features. See the full release notes here. It's also 50% off on Steam for the weekend, good time to bag a copy. I tested it out myself and it's still a little unstable, during the tutorial I clicked the right mouse button after placing a workshop table and this made the game completely freeze up on me. It seems right clicking anywhere will freeze it up, so hopefully that can be quickly fixed as it's rather game breaking. I've made the developer aware of it, so hopefully it will be a quick fix. The developer has now also allowed us to reduce the cursor size (hooray! ), which makes the game a lot more pleasant. The default cursor size is massive and really detracts from the experience for me. So I'm really happy with that simple setting. Although the UI text is never right, it initially said it was the smaller size, even though it wasn't. Loading it back up after I've set it to the smaller size, tells me it's the normal size. One change I do adore, is that when you place an object in a room, you now get green footsteps moving from the door towards it, showing how the AI will path to it. Clever idea and it does look fantastic. Another extremely welcome addition is the ability to re-arranged your rooms. You can now click and drag an already placed object, to set a move order on it. There's still lots of little annoyances, like items in the background being interacted with when you click one of the buttons along the button, which you will be doing a lot. So you have to make sure your screen isn't over an object each time you want to click on one. Visually it's awesome, it now has some of the basics truly nailed, but it's still too buggy and incomplete. Lots of little issues that really need sorting. I will keep taking a look at it at each new release to see how it's improved. It's making nice progress, so I'm excited for the final release. I actually backed it on KS but only tried the alpha once. I'm really looking forward to playing it but will probably wait until release to have the best experience. Nice updates though from what the videos show. I like the concept of this game and want to buy it but I am hesitant as it is still in EA and I am very torn. razing32 I like the concept of this game and want to buy it but I am hesitant as it is still in EA and I am very torn. Considering it is 'mocking about' simulation game, fact it is in EA doesn't work against it - it is quite fun to see all mechanics simulated and playing out, even bugs are fun. If sim games is your bag, it is a good buy. I like where developer goes with it. Sometimes EA is not a bad thing. My concern is seeing it done. Nothing against this developer per say , but I have been burned by overly ambitious EA projects before.